My Photo Blog at blog.metrix-x.com has been hosted by Google for 8 months now so the data is 4 months shy of a year. 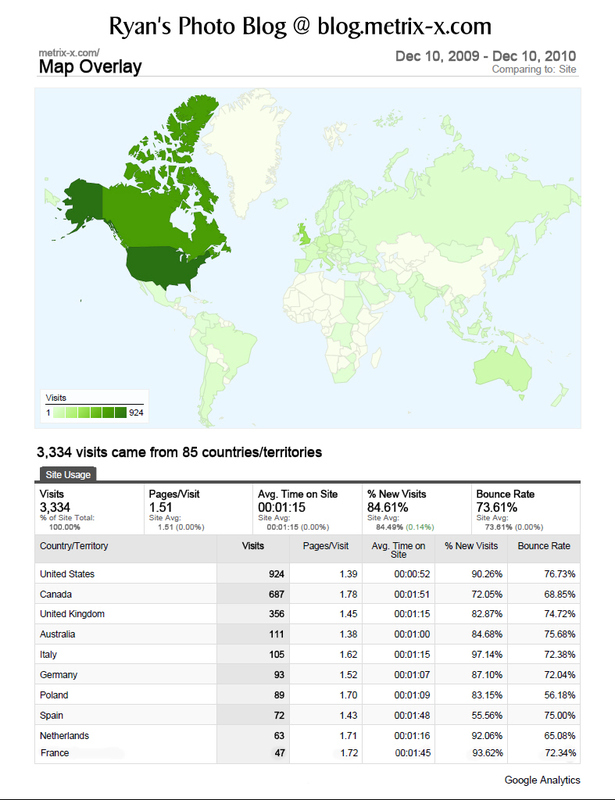 The interactive maps are one of the more interesting aspects of using Google analytics to track visitors. From the world map you can click down to the country and then down to the specific town.